While growing our business throughout the past twenty years, Northwest Cabinet Works has earned the reputation of providing quality work in a timely manner. Our reputaion has been passionately protected by our dedicated staff. We strive to achieve an unsurpassed level of excellence and look forward to passing that quality on to our customers. In addition to these positive circumstances we enjoy the advantage of having an excellent credit rating, and we are bonded and licensed to work in numerous states. Northwest Cabinet Works project experience ranges from high volume production work to one of a kind specialty pieces such as radiused multilevel reception desks or custom veneered conference tables. Our craftsmen are highly skilled and efficient in working with a wide range of materials including wood, plastic laminate and solid surfacing. We were honored to be presented with the 2003 Building Excellence Award by the Montana Contractors Association for work completed on the Health Center Northwest Surgical/Diagnostic Center. For more examples of our quality and innovative design please refer to the picture gallery on this website. Northwest Cabinet Works was founded by John Hale and Tony Dawson in 1985. They chose to incorporate on December 28, 2001. Initially, they were just two gentlemen with similar interests and talent in working with wood. 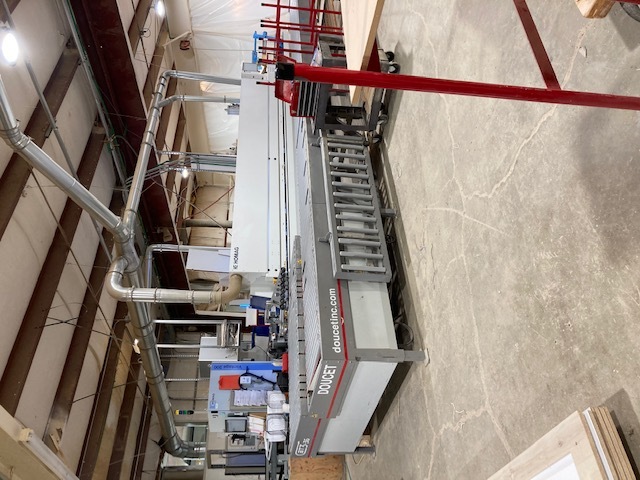 By maintaining their high standards throughout the years and keeping pace with the developing technology in their industry, they have independently built an exceedingly successful commercial cabinetry business from the ground up. Over the years, we have steadily increased our staff. We have ten cabinetmakers including two installers. Our office staff has grown to five to cover estimating, design, project planning, operations, accounting and administration. If you have a positive attitude and are motivated to be successful, feel free to apply to join our company family. We offer an extensive benefits package in addition to a competitive wage. Quality work, on time, at a competitive price.... it's what you want and what we do best!